Dance for the sheer fun of it! 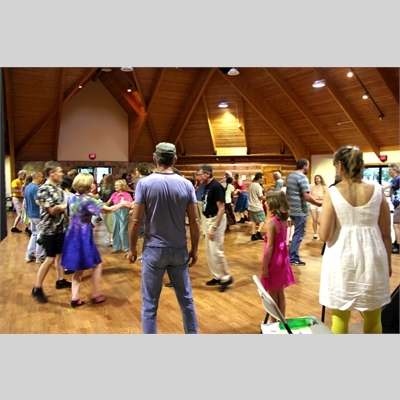 Square dance, contra dance, barn dance—whatever you call it, we’ll get you moving and smiling to delightful, foot-tapping music. After a little instruction, everyone will dance with everyone else in easy and interesting combinations. No experience, special skills or outfits necessary, just comfortable clothing and the desire to have fun. All ages welcome. When registering for a family please register under adult’s name using the FAMILY course code.